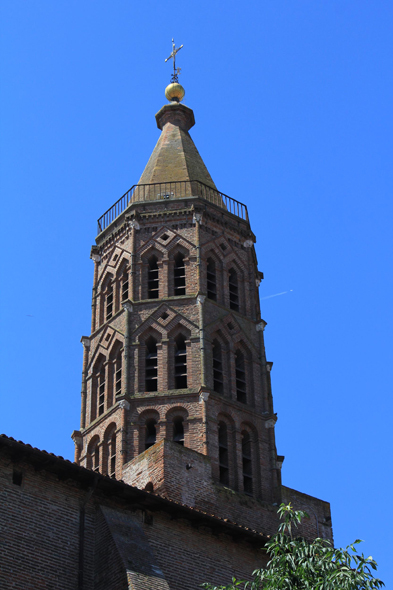 The church Saint-Jacques of Montauban. This fortified church has on the facade of the tower the track of the cannonballs of the siege of 1621. Resting on a square tower with machicolation, the church tower date from the end of the XIIIth century.